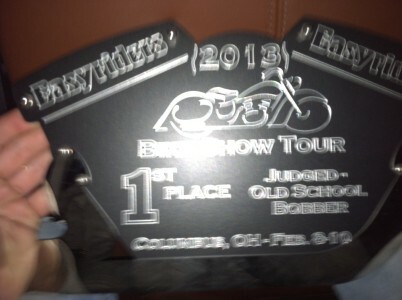 Sweet Stella Bleu took home 1st Place – Judged Class for Old School Bobber at the Columbus Easyriders Invitational Show 2013. Sweet Stella Bleu will be featured in the upcoming December 2013 Issue of Easyriders and VTwin Magazines. Here are a few shots from the photoshoot. 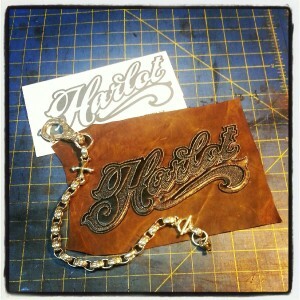 New Chain Wallet in the works!!! I commissioned Ron Bryant of One Too Many Leather to hand craft a One-Off Chain Wallet for me. Check out the progress. He truly is an amazing artist! Stella takes home Best Paint. 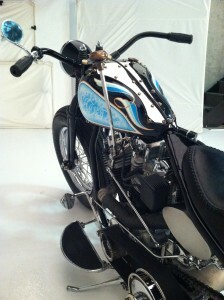 Sweet Stella Blue took home the best paint award at Willie’s Old School Chopper Show during the 2013 Daytona Bike Week. Big thanks to Buck at Buckwild Design Studio for a killer paint job! Bettie Featured in Easyriders Magazine. 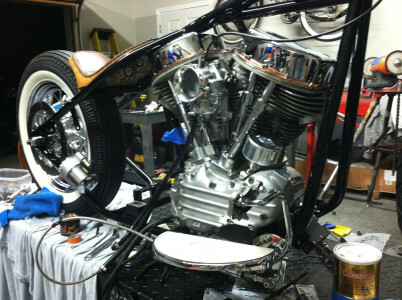 Sweet Stella Blue took home the best paint award at Willie’s Old School Chopper Show during the 2013 Daytona Bike Week. Big thanks to Buck at Buckwild Design Studio for a killer paint job! Bonafide Bettie was recently featured in the April 2012 Edition of Easyrider Magazine. Check it out. 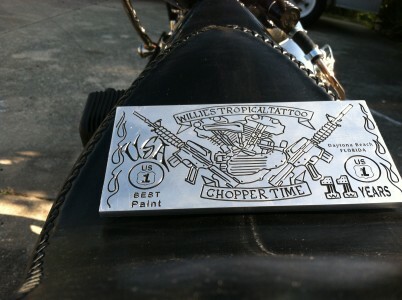 Bonafide Bettie took home the Cyril Huze Award at Willie’s Old School Chopper Show During Daytona Bike Week 2012. Mens Signature Series Oil Cap Tee- Vintage Black Just got everything back for Bettie… time for final assembly.